The Muzzle Up! Project is always on the lookout for new ways to provide muzzled dogs enrichment. 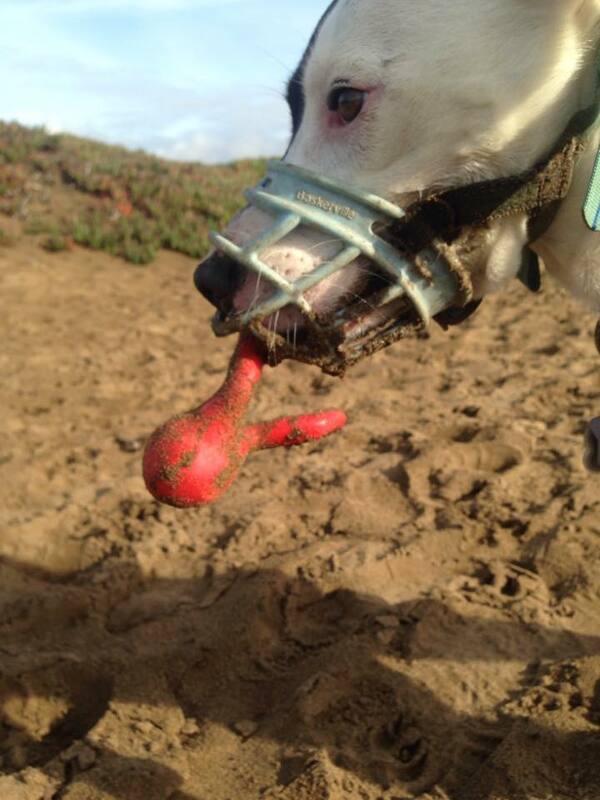 We recently discovered some new options for muzzle fetch from West Paw Design. We tested the Tizzi and Bumi toys from their Zogoflex line and found them to be a great muzzle fetch option for dogs who wear Baskerville muzzles. The toys are slim enough to fit through the front gap of the muzzle, allowing dogs to retrieve and tug with the tips of their front teeth. Another perk: the toys come with a lifetime guarantee! Those in the UK can purchase these toys from K9Active. Pictured below is Stella playing fetch with West Paw’s Tizzi toy.